Professional multilingual Squarespace website implementation working with any website structure. Multilingual site working exactly how you’d expect it to work! Initial consultation about your website structure, languages needed and style of the language switch. Template modification via Squarespace developer mode performed by our professionals within 3 business days. Original multilingual Squarespace implementation involves cover page and 2 or more indices page creation which significantly limits top navigation and website structure. Our implementation is seamless and can be applied to any website structure. It has professional look and feel with language switch and corresponding navigation menu items. Meaning, that when you’re browsing a page in French and want to switch to English — you simply click a language switch and get redirected to a corresponding English page. 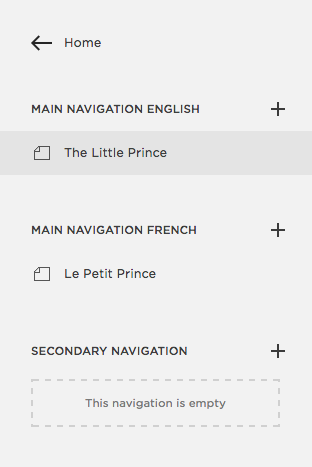 Navigation links also get translated to English and back if you switch back to French. Implementation includes mobile navigation and built-in switch for mobile devices. Internally, it is easy to maintain your website structure with custom menus created in your Squarespace editor. 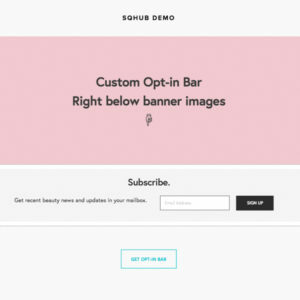 Contributor invitation to your Squarespace website. Learn more here. Toggling your website to Squarespace Developer Mode. Maintaining your website URL naming convention in a format http://yourwebsite/en/single-page .